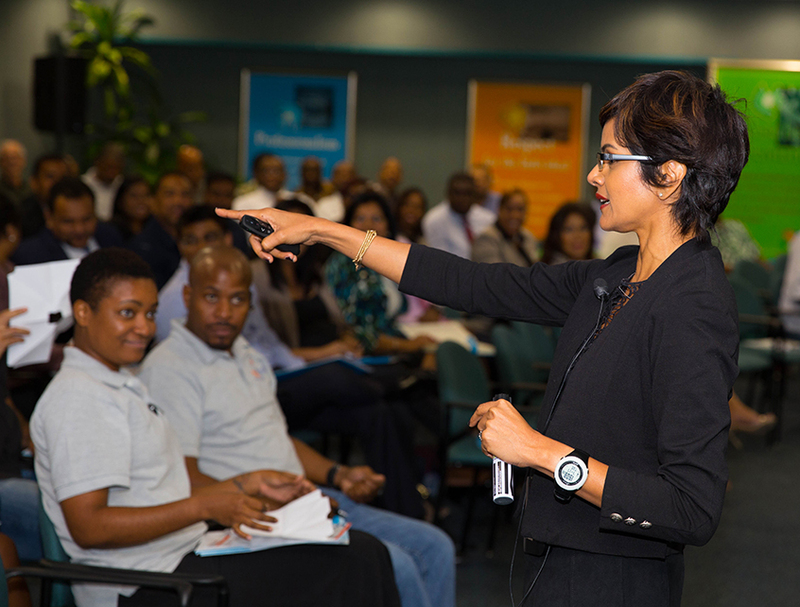 Port-of-Spain, Trinidad, July 19, 2018: The Republic Bank ActionCLUB workshop series is back, by popular demand. 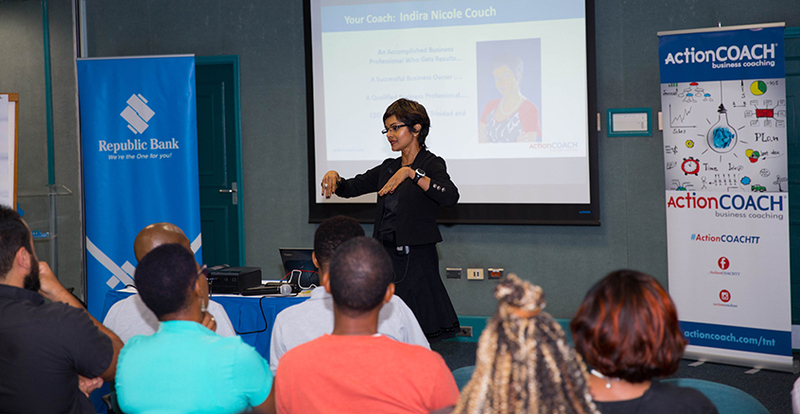 The Bank invited over 70 of its most promising small business owners to celebrate the workshop launch with an introductory seminar conducted by Indira Couch, CEO of ActionCOACH Trinidad and Tobago, on Tuesday July 17, 2018. The ActionCLUB workshop is intended to equip small business owners with practical tools and strategies to grow their revenue and profits. The Bank will select 30 small business owners to participate in the 14-week programme, which begins in September. Tuesday’s introductory seminar, entitled ‘Six Steps to a Winning Business’ was a precursor to the longer workshop series and touched on many of the topics that will be explored in greater depth, during the workshop. Indira walked her audience through topics that would be top of mind for many a small business owner, including time, team and money management and leveraging technology to boost marketing efforts. Participants were also encouraged to share their greatest challenges and deepest fears as small business owners, and were amazed by Indira’s ability to quickly hone in on the root issues behind their challenges and to provide simple, practical solutions to take them on. Republic Bank’s General Manager, Commercial and Retail Banking, Hilton Hyland, shared his excitement at the launch of the second edition of the workshop series and his hope that the participants would use the workshop as an opportunity to contribute to the success and viability of their businesses. He also underlined the importance of continuing education in entrepreneurial success and the Bank’s continued commitment and support to the personal and professional growth of its customers.